Secret Escapes Group, a UK-based online travel deals company, acquired Empathy Marketing Limited, Ireland’s leading marketplace for premium hospitality and e-commerce offers. The deal is due to complete in February 2019. 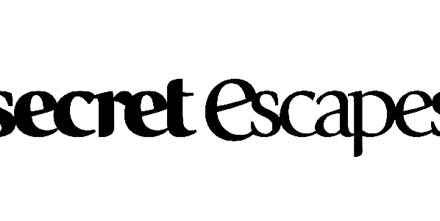 Searchlight Capital Partners, L.P., is partnering with Secret Escapes in funding the acquisition. Founded in 2000, EML is owner of the Pigsback.com and counts over 1 million active members in the Republic of Ireland and Northern Ireland across its brands, which also include other premium offers sites including: TheDiningRoom.ie, LuxuryBreaks.ie, Pamper.ie, JustGolf.ie and TreatTicket.ie in Northern Ireland. This deal will give Secret Escapes Group a strong presence in Ireland, offering its customers access to the best offers in Ireland. The acquisition follows its expansion across Europe with the acquisition of Travelist in 2014 and Slevomat, central and eastern Europe’s leading travel deals and experiences company, in 2017. Secret Escapes Group also recently acquired the activity and assets of TravelBird, the Dutch online travel deals company. Pigsback.com, launched in 2000, is the market leader at the premium end of the Irish deals market, and in 2018, was used by over 900 different merchants from hotels to restaurants to golf courses to goods suppliers. As part of the Secret Escapes Group, Pigsback.com and EML’s brands will have access to a broader, international audience, offering EML’s hospitality and e-commerce partners greater reach. Members of EML’s platforms will also have access to an unrivalled selection of offers and travel deals. Pigsback.com and the other EML websites will continue to be managed by Michael Dwyer, EML’s Executive Chairman, and John McDonald, Chief Operating Officer, along with the full existing management team. EML reported revenues of €5.7m in 2017 with operating profit rising to €1m. Led by Alex Saint, Co-Founder and Chief Executive, Secret Escapes is a members-only online travel deals company, offering inspiring travel experiences and hand-picked offers to over 62 million users worldwide across its Secret Escapes, Travelist and Slevomat brands. It is operating in 21 countries across Europe, Asia and the US.